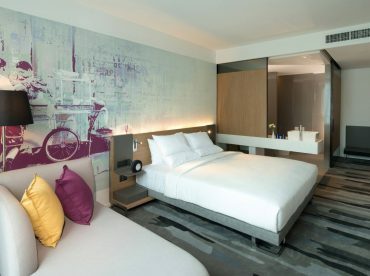 Deluxe room offers two bedding options – single and twin – with the modern Novotel N’Room design. The design concept is simple, sleek, and functional, with Smart Pillow, natural lighting, and city views. Decorative wall art illustrates Thai unique way of life.